What better way to start 2017 than with a brand new story? ‘Little Digs’ is a piece that returns to the world of Bluegrass Symphony, and it appears in the first issue of The Dark for this year, co-edited by Sean Wallace and Silvia Moreno-Garcia. Delighted to see it share an issue with stories by Sara Saab, Ray Cluley, and Elise Tobler; and a podcast edition for “Twilight Travels with the Grape-Paper Man”! The freaky-cool cover art is by Alexandra Schastlivaya. Head on over here to read it all. 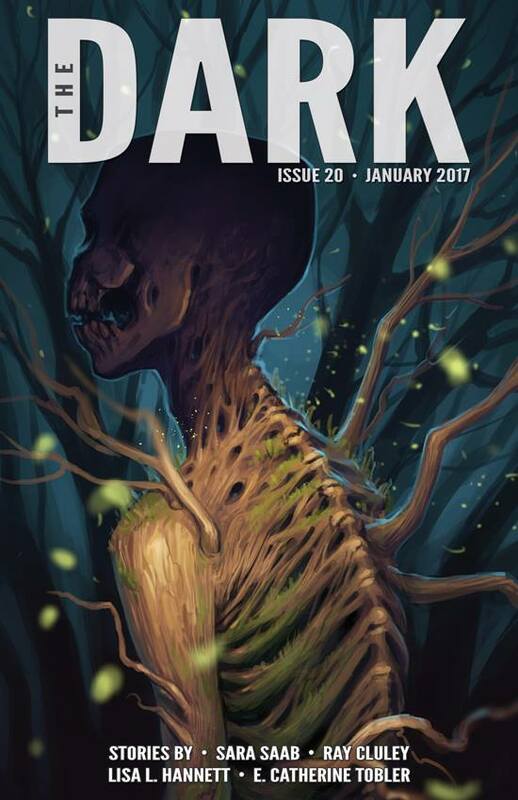 Tags: alexandra schastlivaya, bluegrass symphony, elise tobler, ray cluley, sara saab, sean wallace, short stories, silvia moreno-garcia, the dark. Bookmark the permalink. Previous post ← PodCastle 441: A Shot of Salt Water!